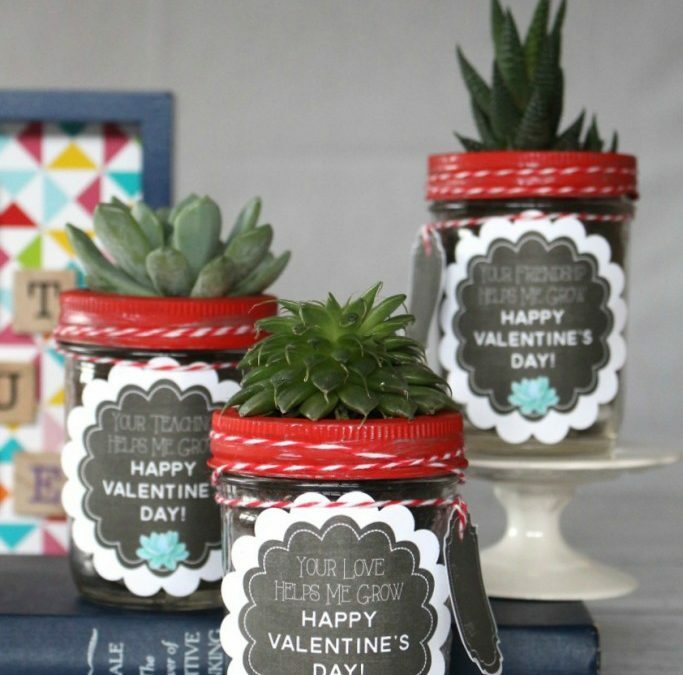 Love is in the air here at InStyle Succulents! Valentines Day is a sweet little holiday you can choose to celebrate with your loved ones, but we much prefer succulent love all year ’round! Succulents are the perfect gift – they’re small, fun, low maintenance, and can live in a range of environments and conditions. They’re a long-lived reminder of love and friendship! The cutest name, and the cutest plant! 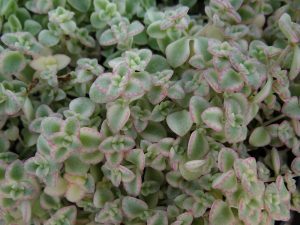 Sedum Little Missy has petite, heart-shaped, creamy speckled leaves with pink edges. We love the gorgeous white flowers which appear with showy magenta buds. 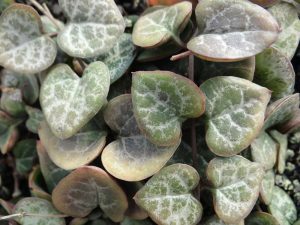 Pop this little sweetheart in a decorative pot to soften a mixed planting. A flowing mass of heart leaves in shades of pink, green and creamy yellow. The colours really intensify in drought or cold to rose-lilac. Up in a hanging basket is best for this plant where it will flow down. Gorgeous petite flowers appear during spring. You can pot these beauties up (or any that you choose) in a monochrome pot for a more modern look to make the succulent really stand out, or have some fun with glazed red or magenta! Terracotta is always a classic choice, or go in a shabby chic direction with an antique biscuit tin, teacup, or teapot. 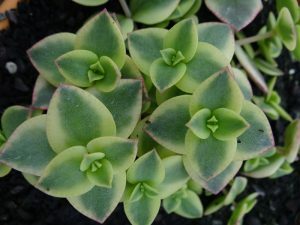 Whether you choose pastel, vibrant, modern or vintage, any succulent can match any container for the look that you want. 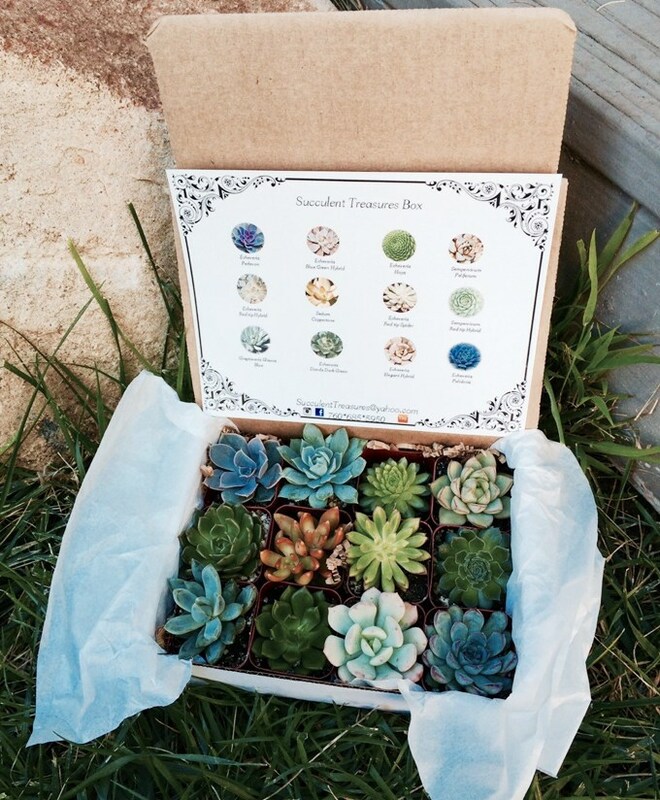 Or if you can’t choose, create a mixed “box of succulents” selection!